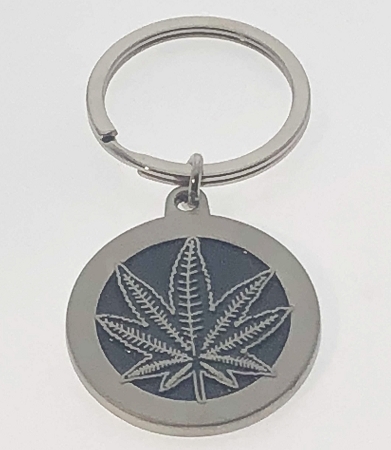 Our WEED Key Tag is made from zinc alloy, is matte silver plated, and is filled with BLACK soft enamel for the background and DARK GREEN for inside the leaves. 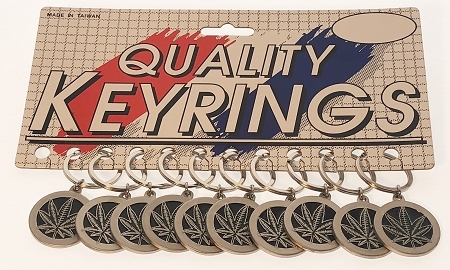 Each piece measures 1 5/16" diameter and are attached to a 1.25" flat split ring. Packaging is bulk, but these are also able to be purchased 12/card. Your Price: As low as $.53 each.